May was surprisingly crazy busy and has definitely been such an eventful month. Big birthdays chez nous, crazy workload, and a lot of planning, preps and daily grind sort of things. Thus, my lonesome entry this month. To keep it some company, here’s my final attempt with a new entry! One of the best feasts we’ve had this past month is a Chinese feast inspired by Diana Kuan‘s Chinese Takeout Cookbook (which my mom, btw, refused to hand me down but eagerly gave to my partner! I still won. Ha!). This cookbook is a treasure. We have tried a couple of recipes in it, and they never fail to satisfy our tummy cravings. This feast right here though has to be one of our most sumptuous kitchen adventures. 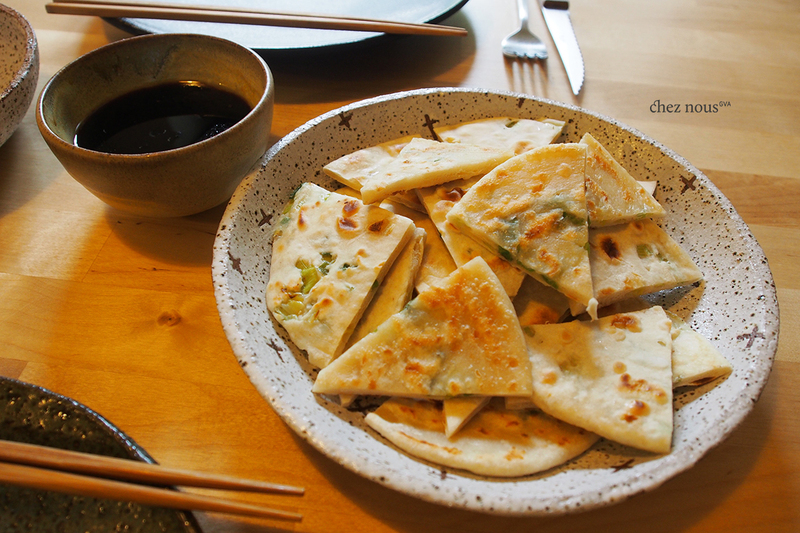 For starters, we made scallion pancakes. We usually make Korean savory pancakes, so this version was definitely familiar but still quite different. 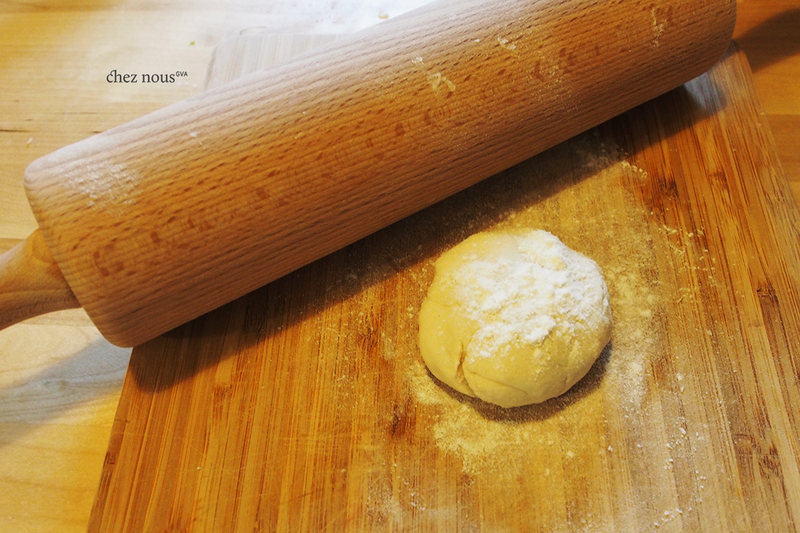 Rolling pin was out of the pantry! 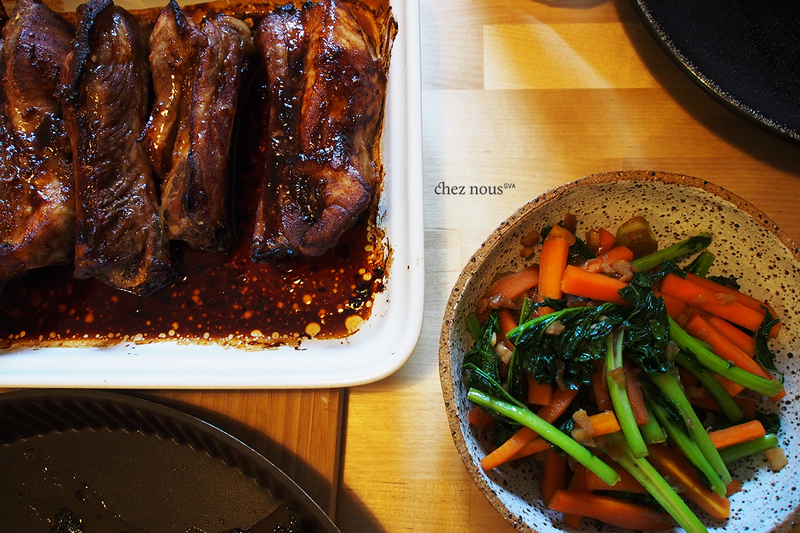 For the mains, it was Chinese barbecue ribs. What a hit! Sweet and savory at the right places. Don’t be shy and drop the fork and knives, folks. 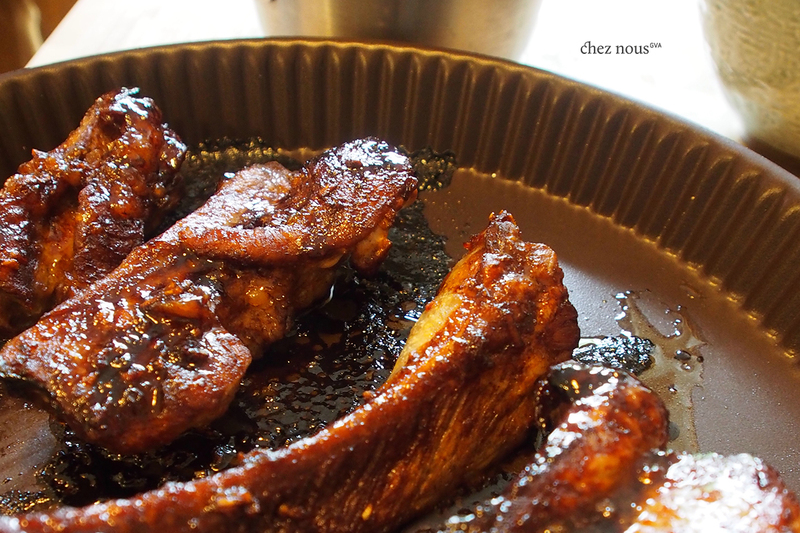 Dig in with your fingers for ultimate ribs-pleasure. Yumm! So as not to feel guilty, have it with a side of stir-fried veggies. Carrots and cime di rapa was our choice sautéed in shallots and garlic seasoned with a bit of soy sauce and a few drops of sesame oil. 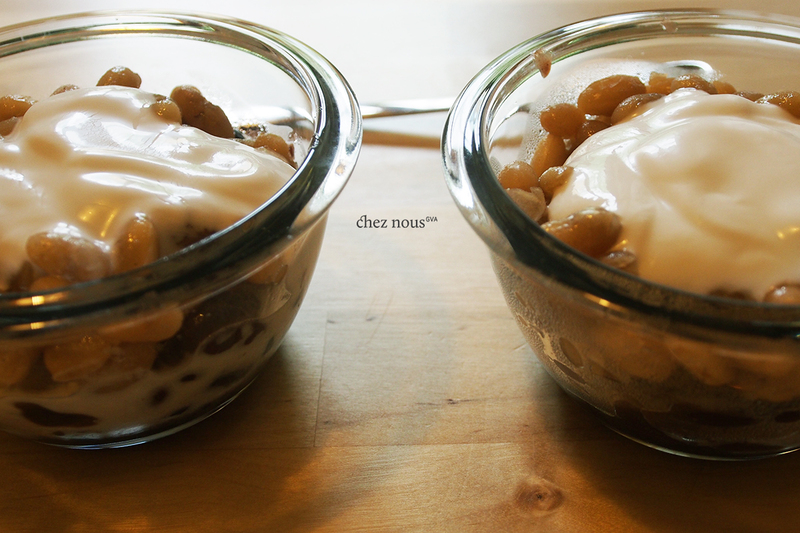 And finally, for dessert, a sweet 3-bean parfait with coco cream, a lovely recipe from Cloud of Cookmorphosis. 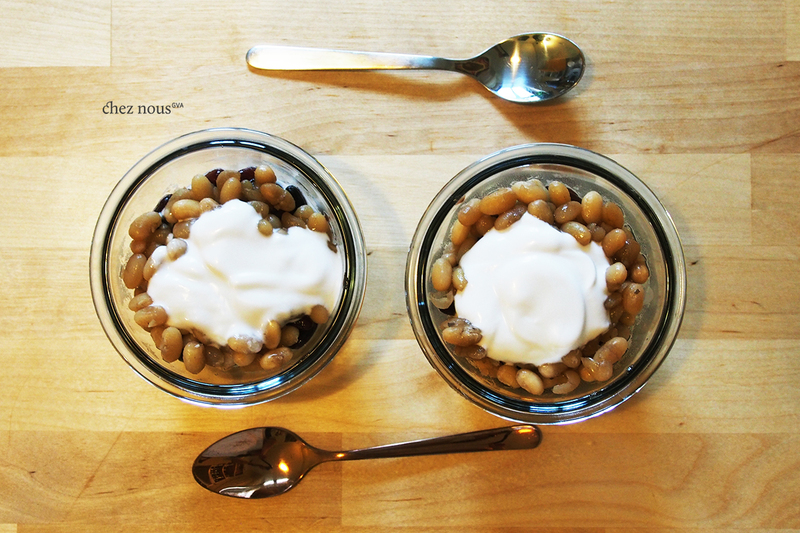 Thank you so much for trying out my sweet beans in coconut milk. Hope you like them ;). Have a great weekend.